يقع في سرفانتس, Cervantes Pinnacles Motel إنه المكان الأنسب لاكتشاف سيرفانتس و ما يحيطها. يقع الفندق على بعد 2Km من مركز المدينة، ويؤمن الوصول إلى أهم مراكز المدينة. يشكل هذا الفندق ملاذاَ مريحاً للاسترخاء ويمنح زواره فرصة للاستجمام والتجدد، وهو يقع على بعد خطوات من المعالم السياحية الكثيرة للمدينة كمثل: مكتبة ومتحف إبراهيم لينكولن الرئاسية, Stromatolites, Lake Thetis. إن الخدمات التي يقدمها Cervantes Pinnacles Motel تضمن للنزلاء إقامة مريحة. يقدم الفندق فرصة للاستمتاع بشريحة واسعة من الخدمات بما فيها: مرافق مخصصة لذوي الاحتياجات الخاصة, تخزين الأمتعة, واي فاي في المناطق العامة, صف السيارات, غرفة عائلية . ادخل إلى واحدة من الغرف 10 وتخلص من عناء نهار طويل بمساعدة مجموعة كبيرة من الخدمات كمثل تلفزيون بشاشة مسطحة, غرف لغير المدخنين, مكيف هواء, تدفئة, مكتب الموجودة في بعض الغرف. يقدم الفندق مجموعة رائعة من الخدمات كمثل حمام سباحة خارجي, حديقة، لجعل إقامتك تجربة لا تنسى. إن Cervantes Pinnacles Motel هو خيار ذكي بالنسبة للمسافرين إلى سيرفانتس، بما يوفره من إقامة هادئة ومرحة. We have stayed in a family room on two occasions now and found it to be very clean with a separate room for the kids. Its the perfect location for the Pinnacles and exploring the local area. Hangover bay is particularly beautiful and the pool area at the Motel is lovely and quiet. Good location close to the pinnacles and the lobster shack. Went to see the stars at night and it was quite nice just outside the hotel - even better if you would go further from the lights. Quiet location. BBQed (hot plate bbq which is fine, but we prefer the grills) and then had breakfast. Opt for espresso coffee, not the bottomless Urn coffee (even though as Canadians, we prefer black coffee)... it was so watered down. Overall we enjoyed the stay. Clean beds and bathroom and friendly staff. If you want to visit the Pinnacles at sunset (highly recommended!) this is a good place to stay. It has everything you can expect in a standard motel. The staff could be more helpful with information and the wifi could be better. A big plus is the restaurant, which was way above expectations for this motel! Friendly manager, old country style design motel, a good place for a night or 2 if you are nearby. Everything was good except Wifi available only at the front office. It's good also. Will stay here again if I visit Cervantes. Good memories there. We had a good 1 night stay here. Everything is good. Except for 1 things. Our room located at the back of the reception area. We have to use another path which is quite dark and the road is uneven. Room was very spacious with good kitchen facilities. A couple of chairs or a sofa would have been a nice addition. We had an evening meal which was of a good standard and we liked the three options for breakfast meaning you didn't have to pay for more than you wanted. Just toast and spreads, continental or full including cooked ... Great! 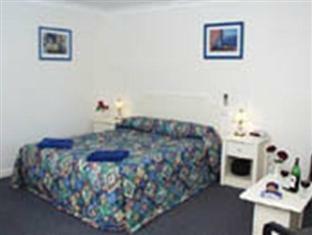 If you are on a budget and looking for somewhere that is clean with all the basic amenities along with friendly staff then the Cervantes Pinnacle Motel is for you. We had a great time there with no complaints. The location is superb, close to gas station, seashell cafe, and lobster shack. It's also a short drive to the thirsty view point and the jetty. It's probably the closest motel near the Pinnacles. The staff is very friendly. 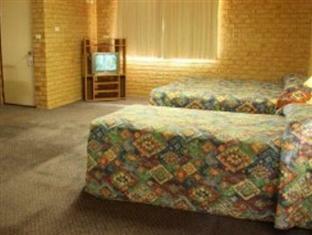 Those the facility is nothing fancy but is clean and satisfies what you need for a motel room. The restaurant is a surprise though- exceeded my expectation. We had dinner here (and unfortunately probably nowhere else in the small town could we find another dinner place). Definitely enjoyed the steak, chicken, fish, and wine. If I go back again, will still stay here - only need to book well in advance so that I can get a better value out of money. Couldn't find proper direction to our room or the carpark. Lucky the carpark near the reception was within walking distance to our room. The bed was comfortable and the room was clean. The checkout time was 10am but the cleaner unlock the room door and almost barged in to the room. This happen at 9:30am and I find it rude and unprofessional. I would expect the staff to have checked if the room was vacant or the occupant has checked-out before unlocking the room door. Reception could not care less about the phone not working to connect to the office on 9, or there being no internet as promised. Both were covered by a dismissive "it must be a Telecom problem" and no apology or attempt to fix either. Our waitress however was very nice and tried to help with the wifi. 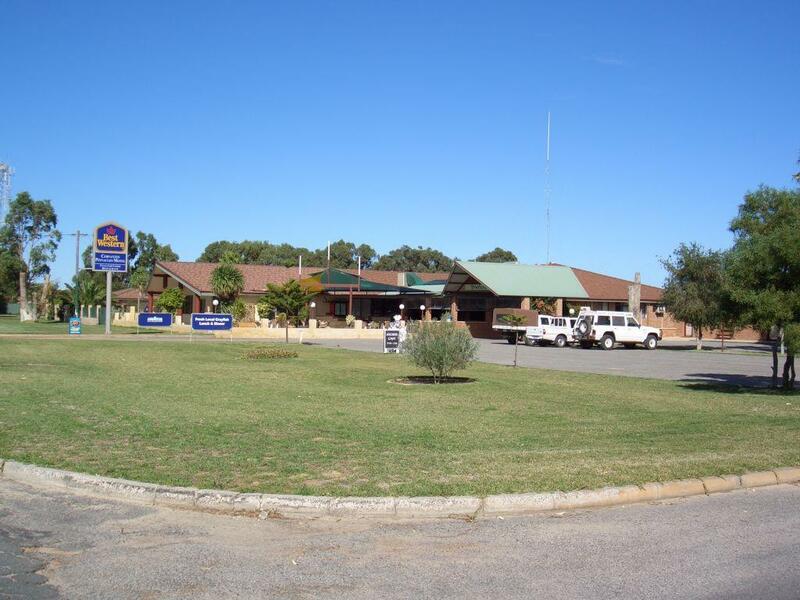 We Checked in Cervantes Pinnacles Motel on 1 May 2016, 7.30pm. Once we arrived, the front desk staff shown us her unhappy face and talked to us quite rude. We had a feeling that we are not welcomed with her bad attitute. Disappointed! Electrical power break down 3 itimes during night time. Air- conditioning from the aircon very dirty and dusty. Bed is to soft even can feel the spring under the mattress. Poor customer service! Unfriendly staff. Will not come back again! Reception staff were very helpful regarding a duplicate booking error, good location and able to sit outside our room next to the pool. Pleased with our stay and choice of accommodation. Reception staff were exceptional and also helped us with printing our airline on line check in tickets. Free WiFi was for all day long which was useful. Kitchen facilities a little dated but they were available with no exclusion notices about preparing food in the accommodation. 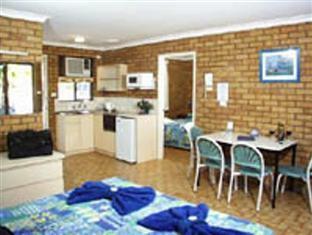 Ideal for visiting The Pinnacles and our last stop before departing Perth Airport the next day. Heh, I am a bit of a foodie and I have also hosted many Wine dinners for charity. The food was superb. Wife and daughter each ordered a main of Snapper, chips and salad, whilst I ordered an entree of Calamari which came as a great surprise, It was very large and when I commented that I wanted entree, they said that I hafd the entree size, Wow, it was fantastic, brilliant sauce. A good thing that my wife and daughter did not order an entree, we all shared it. Their main of Snapper, chips and salad was beautifully presented and also tasted so. I had the Seafood specia, Oysters, Muscles, Squid, Prawn, and that Scnapper. Incredible to find such food 200kms from Perth. Also a good range of wines, very reasonably priced.Totally surprised and pleased. Well Done. The apartments were large and clean. Furnished with a simple kitchen. You are able to park your car right outside the apartment which makes transporting of luggage very easy. We even took the chance to clean up the car! We did not eat at the restaurant, but we saw them serve lobsters which looked yummy!